Thalgo innovation offers a short powerful iBeauty Instrumental Cosmetic device by combining 3 non-aggressive and completely safe technologies. Sound Vibrations: The new generation of aesthetic peel. Low frequency ultrasound vibrations are used to achieve in-depth exfoliation which effectively cleanses and purifies the skin. 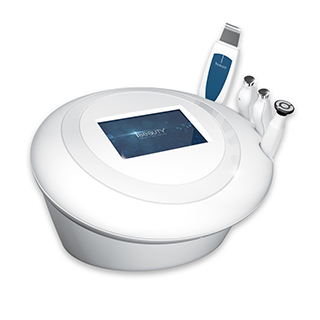 Sequential Ultrasound: The evolving vibration waves generated by iBeauty help with detoxification and boosted cell regeneration. Thalgo iPure and iHydrate are both used to rehydrate, remineralize and purify all skin types. Radio Frequency: The latest anti­ageing technology. A high frequency microcurrent induces tissue heating to regenerate and firm the skin. Thalgo iPlump is designed to increase radio­frequency activity for more toned and plumper skin. Marine Cosmetics, enriched with Zinc and dual sound­vibration and ultrasound technologies, restores your skin’s purity and balance. Perfect for all skin types. Expect to see healthier and brighter skin from the first session and combine the iBeauty Skin Purity Reviver treatment with the Source Marine Ritual for longer lasting results. This high­tech treatment uses radio­frequency and richness of Spirulina­based marine extracts to redensify the skin and reshape the face. Combining iBeauty Youth Activator with Marine Cosmetic technologies offers your skin new youth. Wrinkles are repelled, skin is lifted and your face is rejuvenated from your first session.